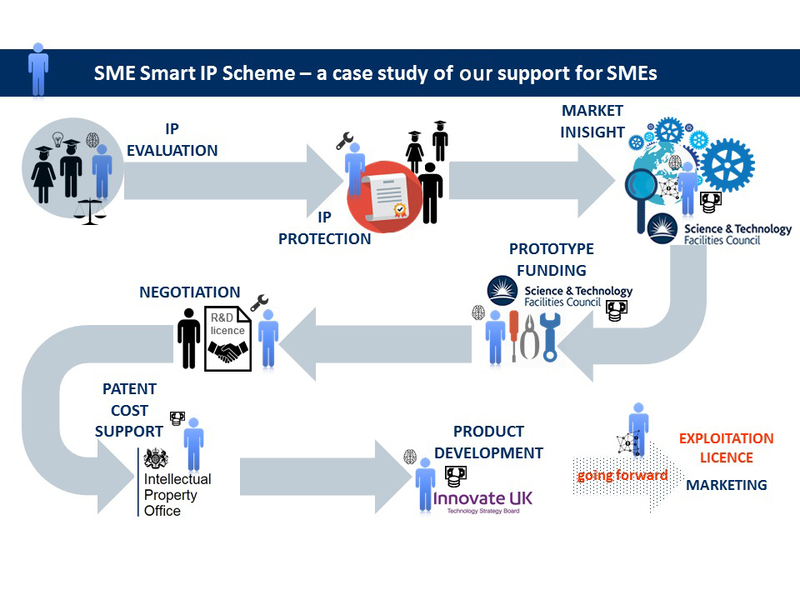 Our SME Smart IP Scheme (SSIPS) offers SMEs greater flexibility and improved risk management when accessing selected IP originating from Oxford University. 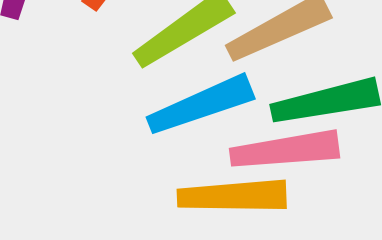 We offer a phased programme through a two-stage licence that recognises separate development and exploitation activities. 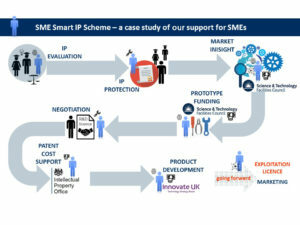 In the first stage, SMEs can enter into a development licence with Oxford University Innovation to apply their R&D resources and development expertise to turn a scientific technology into a new product design and specification. 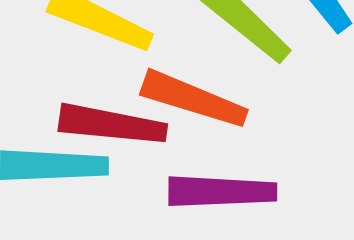 A fund is available to help with upfront IP costs related to development licences. Exploitation may then happen within the SME or in another, possibly larger, venture with greater capabilities in production or marketing and sales. In either case, the SME that has invested in the development of the product will earn a share of future revenues. Oxford University Innovation will also work with SMEs to encourage, and where possible facilitate, access to the many support initiatives available to SMEs. Oxford’s intellectual property (IP), including patented technologies, software, data, designs and know-how is offered for commercial use under licence from Oxford University Innovation. On average Oxford University Innovation adds more than five new inventions or developments each week to its portfolio. These technologies provide companies with an opportunity to develop new and improved products, processes or services, and to gain a decisive competitive advantage. Oxford’s technologies licensed to companies have created many successful products ranging from a vaccine through to energy efficiency products, personal well-being, electronic displays, medical imaging, consumer products, scientific software, satellite equipment and many more. Oxford University Innovation manages hundreds of licences to companies worldwide and in all technology sectors and can offer a licence agreement that will be appropriate for the technology and the commercial requirements. Licensees do not have to worry about the patent process, which is entirely managed by Oxford University Innovation as part of a portfolio of more than 2,000 patents and applications. In many cases the technologies can be supported with research or consulting from the original inventors and developers and in certain cases Oxford University Innovation can offer participation in proof of concept funding. Research and development by companies is frequently supported with grants or other financial and tax concessions by governments and in the United Kingdom these may include R&D tax credits, grants from the Technology Strategy Boards or the UK Patent Box. Companies that have the resources and desire to turn intellectual property into new products can find a wide range of new opportunities among the listed technologies in this section. Please contact Oxford University Innovation directly to find out more about any particular technology or sector. If you are an investor looking for opportunities to create a new technology venture or to attain IP on behalf of a 3rd party, please look at our investment opportunities or contact us about any of the technologies available to discuss their suitability for investment.